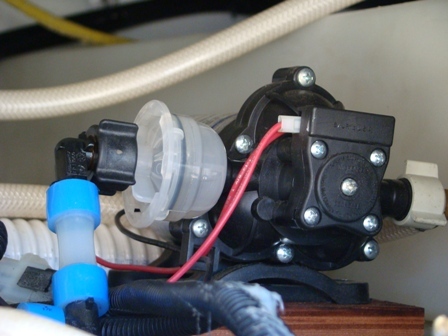 Your RV comes equipped with a 12-volt on-demand water pump. It is part of the essential equipment that makes your RV self-contained. If you aren’t connected to a city water supply you can store potable water in the RV fresh water tank, and when you need water you simply turn the water pump switch on. When the water pump is turned on the pump will run until it pressurizes the water system to the factory set shut-off pressure. When you open a water faucet in the RV (place a demand on the pump) water pressure will start to drop and a switch closes turning the pump back on, pressurizing the water system again. Keep in mind that RV water pumps are designed for intermittent duty cycles, not constant running. RV water pump preventive maintenance is quite simple. It primarily consists of periodically inspecting and cleaning the strainer and keeping the water system sanitized. 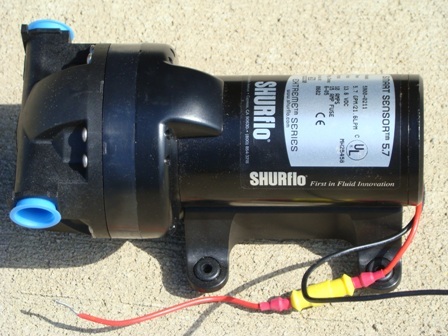 SHURflo, a leading water pump manufacturer stated that a lack of sanitizing is the number one reason for premature pump failure and poor performance over time. And that a lack of sanitizing will cause scale build-up on the diaphragm and valves, causing low flow and leak back (occasional pump cycling with no faucets open or tank filling up when hooked up to city water). To clean the water pump strainer make sure the water pump and any water supply going to the RV is turned off. Open a faucet in the RV to relieve the water pressure. Disconnect the water line going to the strainer. On most water pumps you simply grasp the front section of the strainer, push in slightly and turn counter clockwise. It will separate from the section of the strainer that is screwed into the pump. Note: You do not need to unscrew the entire strainer assembly from the pump. Now you can remove and clean the strainer screen. When the strainer is clean reassemble in the opposite order. Make sure there is water in the fresh water holding tank, turn the pump on to pressurize the system and check for leaks. We’ll talk more about sanitizing the fresh water system in a future post here at the RV DIY Channel. 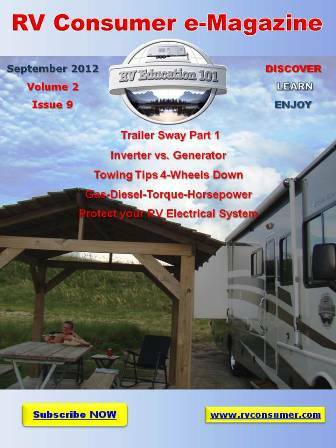 Sign up for our online RV Consumer E-News Magazine It’s FREE!